The authors of this article have been lobbying the Texas Legislature to pass bills that would require medical laboratory professionals to be licensed to work in the state. 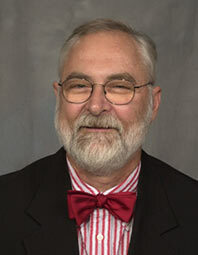 Dr. Rodney E. Rohde is Professor and Chair of the Clinical Laboratory Science program at Texas State University and incoming President of the Texas Association for Clinical Laboratory Science (TACLS). David Falleur is Associate Professor at Texas State and serves on the TACLS Government Affairs Committee, which has started a petition for licensure in Texas. Joanna R. Ellis is Clinical Assistant Professor at Texas State University and outgoing President of TACLS. Here, they write about the issue and why they think licensure should be mandatory. When your doctor orders lab tests, are they performed and analyzed by licensed medical laboratorians? If you live in the United States, chances are the answer is no. Medical laboratory scientists (MLS) and medical laboratory technicians (MLT) are licensed in just 12 states. State governments grant licenses in hundreds of other professions. In 2003, the Council of State Governments estimated that more than 800 occupations were licensed in one or more states. Among the healthcare occupations and professions licensed by states are physicians, physician assistants, dentists, nurses, midwives, respiratory care professionals, radiologic technicians, chiropractors, physical therapists, and pharmacists. Among the non-healthcare related occupations licensed by the states are plumbers, painters, general contractors, school bus drivers, barbers, bartenders, dogcatchers, cosmetologists, septic system installers and insurance agents. MLS and MLT professionals provide up to 70 percent of objective patient information to physicians so they can provide an accurate diagnosis and treatment plan, according to a 2002 study in Clinical Leadership and Management Review titled "The Value of the Laboratory Professional in the Continuum of Care." Patient history along with physical signs and symptoms are vital, but most diagnoses need confirmation that only laboratory tests can provide. The laboratory professionals also contribute to wellness testing, guiding treatment and monitoring patient progress. It is not an overstatement to say that our professionals provide critical lifesaving information many times over the course of a work day: for example, complex testing to cross-match your blood for emergency surgery, to identify a genetic abnormality of a newborn, or to assist in the diagnosis of cystic fibrosis and cancers like Hodgkin’s disease. Most people believe that their doctor performs these tests like we see on TV shows like House or Grey’s Anatomy. In fact, you would probably not want your personal physician to do your lab tests because the specialized skills required are not an integral part of the medical school curriculum. Formal coursework training in medical laboratory testing comprises a small portion of the curriculum for most health care professionals. However, for MLS and MLT students, medical laboratory theory for all 1,000+ available lab tests, sources of interference, and connections between test results and diagnoses is the main focus of their studies. And yet, our profession is not licensed in most states! Medical Laboratory Education programs are essential for ensuring that qualified individuals graduate each year to keep up with the demand. As the baby boomers retire, the demand will continue to increase. Texas has 14 accredited bachelor-level Medical Laboratory Science (MLS) programs and 20 accredited associate-level Medical Laboratory Technician (MLT) programs. We have more accredited programs than the similarly sized states of California and Florida. Some states need licensure to assist in the promotion of the profession and implementation of new MLS or MLT programs. Licensure would provide information about the number of laboratory professionals in the state and where the need for educational programs is most profound. Texas has the infrastructure to educate adequate numbers of qualified laboratorians; however, some of these programs are in jeopardy. Funding is always an issue for educational programs. Recently, the MLS program at the University of Texas Southwestern was closed due to lack of funding. Licensure bills can be written so that funds will be generated for Medical Laboratory Education. Programs in jeopardy including those in rural or underserved areas would be able to apply for funds that could save the educational programs that train individuals in these areas. It is important to understand that licensure not only ensures minimum educational standards, but has the potential to increase revenue for states to fund access to continuing education or give assistance to struggling education programs. Clinical Laboratory Sciences is one of the few health professions that is not licensed in Texas. Although national certification is available, in non-licensure states, there is no requirement for employers to hire certified personnel. In states such as Texas, federal regulation by the Clinical Laboratory Improvement Act (CLIA) of 1988 permit laboratories to hire high school graduates to perform moderately complex tests. A very lax standard indeed, considering the critical role of laboratory testing in diagnosis and treatment of patients. When there is a shortage of personnel, it is more likely that lower level, uneducated individuals will be hired if there is no provision for requiring a specific level/standard to be met through licensure. 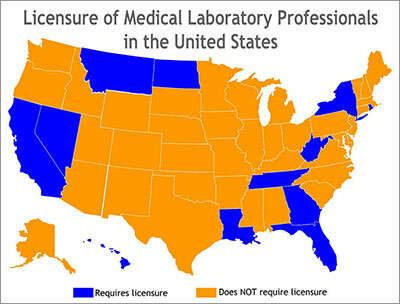 Many states are now licensing laboratorians (or considering it) to ensure quality laboratory work. The American Society of Clinical Pathology (ASCP) and the College of American Pathologists (CAP) have both come forward in support of licensure. In recent years, state legislation and appropriations to improve recruitment and retention of health professions students has targeted nursing and licensed health professions. Students of clinical laboratory science cannot benefit from these programs, as they prepare for an unlicensed profession. Finally because of the absence of licensure, the state has never been able to accurately determine the number of laboratory personnel, therefore unable to even plan on addressing any personnel shortages. The council made these recommendations to assist the governor and the Texas Legislature in creating a plan to ensure quality healthcare throughout Texas. The word “regulation” gives the misconception that there will be red tape associated with hiring laboratorians in a licensure state. In 2013, the Austin American Statesman reported that Lakeway Hospital in Texas has been plagued with laboratory deficiencies resulting in poor patient care, laboratory department closures, fines from the Centers for Medicaid and Medicare Services, and other costs to the hospital. Laboratory professional credentials were falsified during the opening of the hospital laboratory. The consequences of the hiring of unqualified personnel were massive. This turned into a human resources and public relations nightmare for the hospital, which could have been avoided if licensure were required. Through the licensing process, credentials are verified by the state. Employers have an excellent resource when searching for qualified personnel. In general licensure assists rather than subverts employer access to in-state or out-of-state nationally certified laboratorians. Ultimately, it allows for the state to “track” laboratory professionals. In the US, the federal government’s Centers for Medicare & Medicaid Services (CMS) regulates all laboratory testing (except research) performed on humans in the US through the Clinical Laboratory Improvement Amendments (CLIA). CMS statistics show that Texas has had more CLIA sanctioned labs than any other state. CLIA regulations are minimal, yet 11 labs in Texas were closed in 2011 as a result of continued deficiencies. There is a problem with laboratory quality in Texas as well as in many other states. You can see the CLIA deficiencies in your state by visiting the CMS Laboratory Registry. CLIA regulations and CLIA enforcement alone are not sufficient to ensure quality laboratory medicine as suggested by the SHCC above. Importantly, CLIA’s personnel standards only address the minimal requirements. In Texas, we agree with ASCLS and ASCP that these are insufficient to fully protect patient and public health. As noted by ASCP, CLIA requires only an Associate degree and minimal laboratory training to perform tests of high complexity. In the current environment of laboratory testing, the complexity of new test requirements, especially for genetic and molecular testing, is increasing and renders these standards insufficient. State licensure laws can and should provide higher standards. The adoption of higher standards will ensure that patient and public health are better protected. Last year, a Texas Tribune article titled “Health Officials: Immigrant Surge is a Medical Crisis” stated that officials from the Texas Department of State Health Services (DSHS) “reported that conditions at (border detention centers) posed a high risk for infectious disease outbreaks.” The article also reported that physicians in border areas said immigrants released from detention “primarily mothers and children are coming out in rough shape.” In this very area, four pediatric clinic laboratories were shut down by CLIA in 2012 alone. This means that for two to three years, children in Weslaco, Donna, Mercedes and Edinburg potentially received erroneous lab results before those labs were finally closed. There are two types of occupational regulation: licensure and certification. The two terms are often confused with each other but they are not interchangeable. Certification by governmental entities is also sometimes confused with certification by nongovernmental (private) organizations. The components of licensure vary from state to state but usually include an annual or bi-annual licensing fee, a provision for continuing education, a minimum education and professional competency requirements. Certification is utilized by every state that licenses laboratory personnel to assess the initial competency of licensure candidates. In the American Society for Clinical Pathology’s (ASCP) Policy Statement on Licensure of Laboratory Personnel (Policy Number 05-02), certification is defined as being a less restrictive form of occupational regulation than licensure. Health care personnel can be certified without being “licensed,” as is the case with many clinical laboratory personnel. It is clear that laboratory operations, including testing, have a major role in assessing and managing patient health; nevertheless, most states, like Texas, do not license laboratory practitioners. The mandatory hiring of certified laboratory personnel would have ensured that individuals with adequate training were doing that lab testing. CLIA only requires a high school diploma to perform moderately complex testing such as performing blood types on patients needing blood transfusions, drug screens and complete blood counts with a microscopic white blood cell differential. These individuals are not trained to catch leukemia cells on a blood smear. These are life-altering services that must be correct. With children, misdiagnosis can lead to advanced disease progression and in some cases increased transmission rates, more hospital admissions, longer hospital stays, increased healthcare costs and an overall negative impact on public health. The Star Telegram reported that a Southlake emergency clinic was closed in 2011 due to uncertified personnel repeatedly failing proficiency testing. 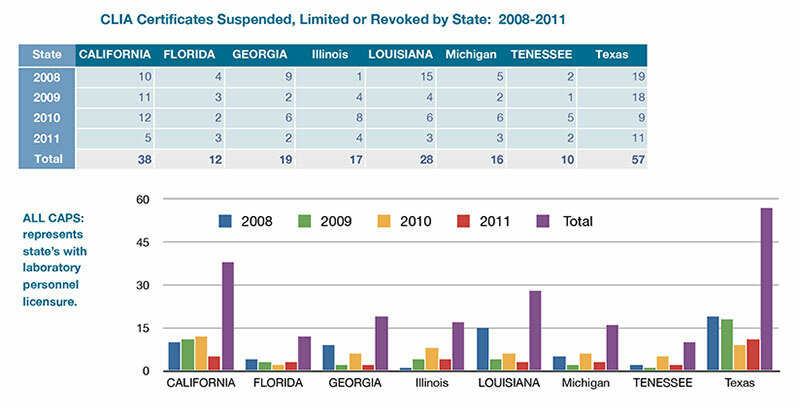 These issues occur throughout the nation and can be largely avoided if licensure were imposed in all states. Rapid, accurate laboratory testing decreases healthcare costs. Important, and often critical, medical decisions are made based on the results of laboratory tests. Inaccurate tests lead to unnecessary treatments and reduce patient confidence. Simply put, patients get treated correctly and more quickly with accurate laboratory tests. In turn, patients are released from hospitals faster, and patients treated outside the hospital require less costly treatment. Inaccurate tests are a particular concern for vulnerable populations such as children and the elderly. In our global world, emerging and reemerging diseases are arriving at our doorstep more than ever. Clinical laboratories and qualified, licensed personnel are needed as with the recent and ongoing Ebola outbreak, measles and healthcare associated infections such as MRSA and Clostridium difficile (C. diff). We play a vital role in potential bioterrorism and pandemic (influenza) threats from influenza and other infectious diseases. While most hospitals and clinics in the US can be trusted to hire appropriately educated and certified laboratory professionals, there is a concern that medical laboratories are beginning to hire non-certified workers in response to a growing shortage of qualified laboratory personnel. This issue is about public safety, quality health care and increased health care cost. There is no guarantee that your medical laboratory tests are being performed by qualified personnel. A lack of licensing denies access to scholarships and other funding provided for other higher education students, such as for the nursing shortages that are very similar to our own. States societies of the American Society for Clinical Laboratory Science (ASCLS) in Minnesota, Massachusetts and Missouri, as well as Texas, are actively pursuing licensure but have met with opposition. The opposition claims that licensure will increase costs for labs, make it harder to hire out-of-state personnel, and increase the shortage. The Texas Government Affairs Committee and other states have provided research that dispels those myths. These states have made changes to their bills to satisfy virtually all of the opposition’s requests. For example, they have assured all concerned that individuals currently employed will be “grandfathered in” and that the pay for licensed laboratorians would not be higher, according to the experience in licensed states with similar demographics. They have listened to the oppositions’ concerns, acknowledged good suggestions, and changed the bill to reflect a solid compromise. Implementation will cost the state during the months prior to license fee collection; however, licensure bills can be written to ultimately increase revenue for the state through the collection of licensure fees. The long-range benefits for this short term investment require foresight from the legislature. Dr. Rodney E. Rohde ( @RodneyRohde ) is Professor, Research Dean and Chair of the Clinical Laboratory Science Program (CLS) in the College of Health Professions of Texas State University, where he spends a great deal of time mentoring and coaching students in this sometimes mysterious and vague path. He has published over 40 research articles, book chapters and abstracts and presented at more than 100 international, national and state conferences. 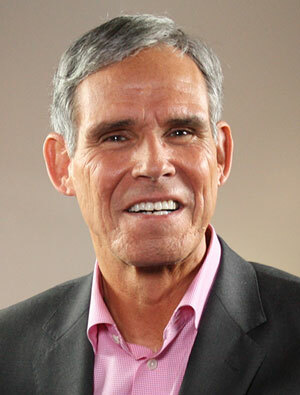 He was awarded the 2012 Distinguished Author Award and the 2014 and 2007 ASCLS Scientific Research Award for his work with rabies and MRSA, respectively. Learn more about his work here. 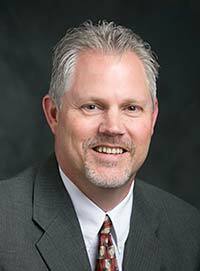 Dr. Rohde is incoming Texas Association for Clinical Laboratory Science (TACLS) President and has been involved in licensure efforts in Texas since 2007. David Falleur is an Associate Professor in the Clinical Laboratory Science Program at Texas State University. 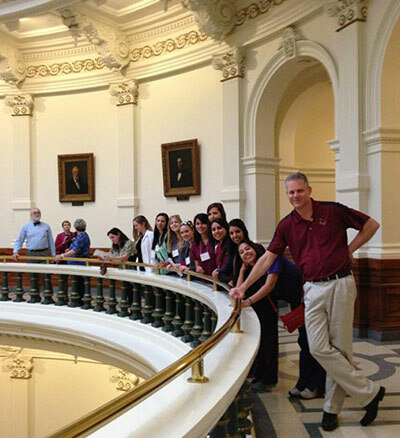 David is Past President of TACLS and has been actively involved in licensure efforts in Texas since 2007. 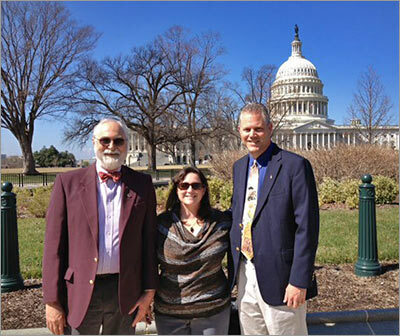 Mr. Falleur has also been an ardent supporter of government affairs at the national level with ASCLS for many years and provides leadership and mentoring to his colleagues and students. Joanna Ellis graduated from the Texas State University CLS Program in 2007, obtained her MS from Johns Hopkins, and worked as a generalist at Dell Children’s Center of Central Texas. 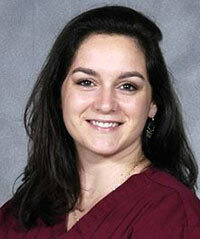 She began teaching in 2010 in the Medical Laboratory Technology Program at Austin Community College. In January of 2014, Joanna returned to her alma mater as a Clinical Assistant Professor in the CLS department at Texas State University. Joanna was elected Student Forum Chair of TACLS and ASCLS Region VII Student Forum Representative in 2007. She continued her professional involvement by serving as the TACLS New Professional Board Member and then Board Member at Large. She has been the Membership Committee Chair 2007-2010, served on two Convention committees, then served as Chair of TACLS 2013 Weird Science Annual Meeting in Austin. Joanna was also accepted to the ASCLS Leadership Academy 2012-2013. She has been active in the 2013 Licensure for Lab Professionals initiative through website creation, licensure petition designer, Texas Licensure Facebook page creator, testifying at the Sunset Commission hearing, and many visits to individual legislators.